Voyager was founded in 1995 by James Kreutzfeld, who is currently the President of the Company. Voyager’s primary exploration and production activities have been focused in the Rocky Mountain Region with an emphasis on western Colorado and Wyoming. Voyager has operated properties since 1996 and prefers to operate newly acquired assets, however, the company will assume a non-operated position with one of several industry partners which with it has a long standing relationship. 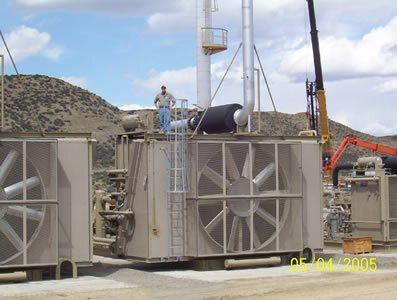 Voyager continued to grow from inception through the development of organic opportunities and by early 2006, the Company was the largest y-grade NGL producer (greater than 300,000 GPM) in northern Wyoming through its newly constructed 15 MMCFGPD refrigeration and compression facility. Upon Voyager reaching 11 MCFEPD gross production, the Company divested assets in the core area to a larger independent that was more suited to continuing the development and exploitation of the identified opportunities. Voyager is environmentally conscientious and will only consider the acquisition of properties that have been maintained to its standards. The founder of the company has major oil company experience and will maintain all producing assets to the highest standards. Every property historically operated by Voyager has had its environmental footprint reduced during Voyager’s tenure via unused facilities remediations, the removal of unused or unusable equipment, or the plugging, abandonment and reclamation of unused wellbores. It is not uncommon during operations of a property, or prior to the divestiture of property, for Voyager to conduct its own environmental inspection in order to identify any unforeseen items that should be addressed. Voyager has always pursued a conservative financial business model by internally funding its projects, which enables it to quickly close deals while continuing to pursue the development of existing projects.